on the wrong side of the road, all the way. 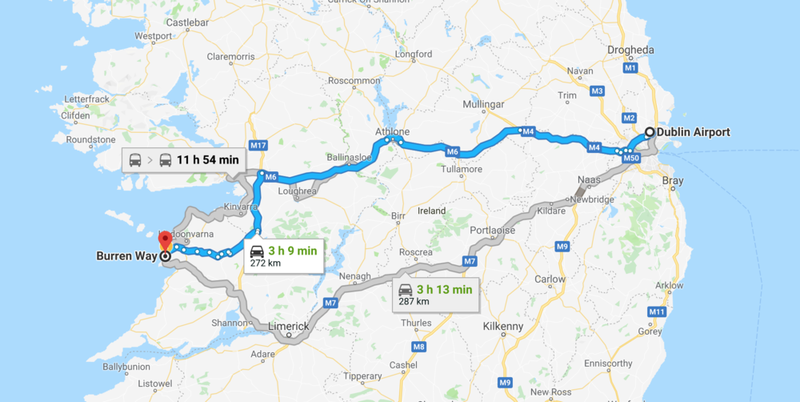 I spent an extraordinary amount of time preparing for our two days in Ireland. But we, perhaps persuaded by Bono, thought the West Coast was going to be best for our first quick trip to the Emerald Isle. 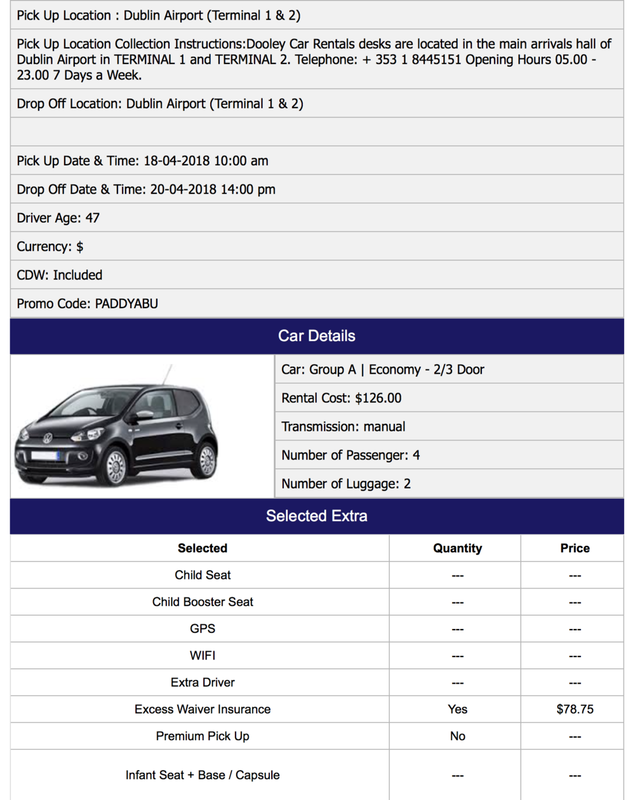 As first time drivers in Ireland, we opted for the deluxe car insurance. It wasn’t ridiculous from a cost perspective, but, it felt ridiculous as I was adding the fees together online. I rented direct from from Dan Dooley online (instead of my usual Priceline), and I got the “Excess Waiver” package for insurance. The insurance costs far more than the rental of the car itself. And that’s why it felt ridiculous. Mostly true, except for one more change to buy more insurance once we got to the counter. And I never pre-pay for fuel. I’ve done the math and, for me, it seems too costly. (Even more costly than wipers and tires insurance.) So I skipped that one. So, we put our rental car on autopilot (figuratively) directly from the airport and headed straight to the Cliffs of Moher (pronounced “more”) in Liscannor. We stayed one night at an AirBnb in Liscannor. Here’s the view from our room. After taxes and fees, our one-way flight from Chicago costed $149.99 (before luggage, each big bag we had cost $64.99). 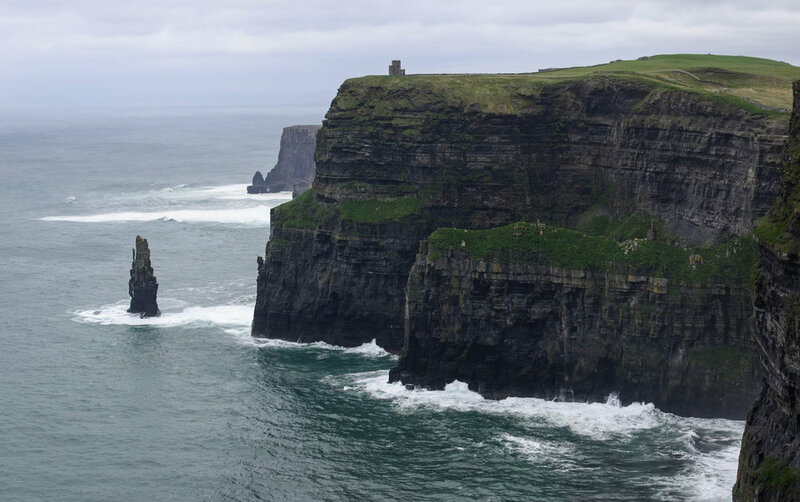 If you could figure a way to travel without a gob of luggage, you can see how affordably you can travel to Ireland. You can live large on budget travel. Ask any question you have below in the comments. Or email me if you want help planning your own quick stopover in Ireland.